The Global Electro-optic Modulators Market is growing with the rapid pace; mainly due to increasing telecommunication industry and growth in the optical communication. 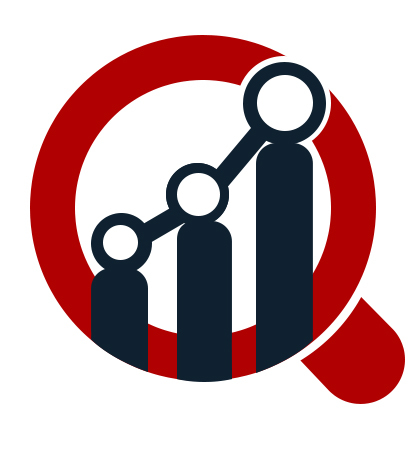 According to a recent study report published by the Market Research Future, the global market of Electro-optic Modulators is growing rapidly and expected to gain prominence over the forecast period. The market is projected to demonstrate a remarkable growth by 2023, beating its previous growth records in terms of value with a significant CAGR during the anticipated period (2017 – 2023). An electro-optic modulator is a device that is used to control the power and polarization of a laser beam with an electrical control signal. The components of electro-optic modulator typically consists of one or two pocket cells, and any additional optical elements such as polarizers. The electro-optic modulator allows the production of a stream of data using continuous-wave (CW) light as a source which is beneficial for the telecommunication based optical systems. The major factors driving the growth of Electro-optic Modulators Market are the innovation in telecommunication systems and increase in the need for optimization. However, challenges such as unwanted amplitude due to change in design, unwanted ringing effect due to material orientation are adversely affecting the electro-optic modular market growth. Apart from it, the increasing trend of laser printing, high speed data recording and high-speed optical communication are driving the electro-optic modulators market. Thorlabs Inc. (U.S.), Conoptics Inc. (U.S.), QUBIG GmbH (Germany), GLEAM Optics (Canada), Inrad Optics Inc. (U.S.), Newport Corporation (U.S.), Photon LaserOptik GmbH (Germany), Gooch & Housego PLC (U.K), APE Angewandte Physik and Elektronik GmbH (Germany), and Brimrose Corporation of America (U.S.) are some of the prominent players profiled in MRFR Analysis and are at the forefront of competition in the Global Electro-optic Modulators Market. North-America is dominating the Global Electro-optic Modulators Market with the largest market share owing to its technological advancement in the field of high speed data recording and laser printing. Electro-optic Modulators Market in Asia-Pacific market is expected to grow at a substantial CAGR during 2017 to 2023 owing to the various advantages associated with using cloud storage. Moreover, increasing development of IT infrastructure by organizations, especially in India and China that are adopting new technologies to work efficiently with existing systems and data. The European market for Electro-optic Modulators Market is expected to grow at a considerable CAGR (2017-2023). Jan 2018 - Researchers from Oregon State University have designed and fabricated the world's smallest electro-optic modulator, which is expected to show major reductions in energy especially in the energy used by data centers and supercomputers. Nov 2018- Thorlabs has released the Exulus-HD1 reflective two-dimensional spatial light modulator (SLM) based on liquid crystal on silicon (LCoS) technology. The Exulus SLM would provide high-resolution, high-speed phase modulation with minimal fluctuations. This makes it ideal for use in a wide range of applications such as optical trapping, femtosecond pulse shaping, beam steering and shaping, adaptive optics, display and imaging, and holography. The Market of Electro-optic Modulators appears to be highly competitive. The companies strive to maintain their market position by launching new innovative products and to drive the market growth, various dynamic and diversified international organizations, and domestic organizations and as well as new entrants form a competitive landscape. Market leaders are innovating continuously and increasingly seeking market expansion through extensive research and development. Competitors are also focusing towards customer satisfactions and innovation as the major focus for maintaining the market positions. The large players are focusing towards acquisition of new players so maintain their market position and deploy innovative solutions. Segmentation by type: Polarization Modulators, Amplitude Modulators, Phase Modulators, Analog Modulators, Liquid Crystal Modulators, Travelling wave Modulators, Thermally compensated Modulators and others. Segmentation by Region: Comprises Geographical regions - North America, Europe, Asia Pacific and Rest of the world.